Slender 2.25mm wide princess diamond full eternity ring, channel set with 0.62cts of high clarity diamonds. 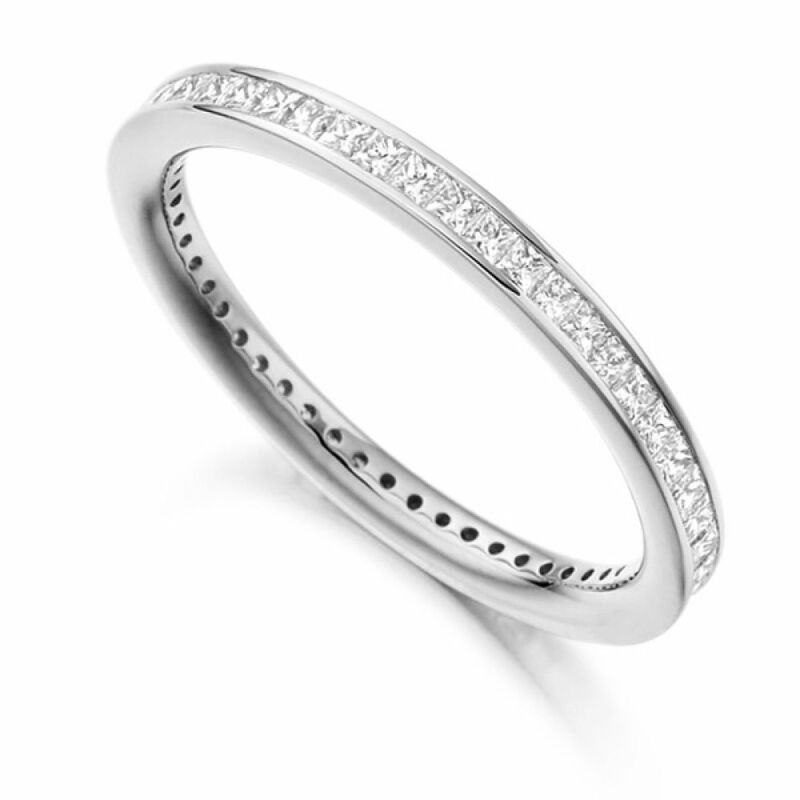 A precision set Princess cut Diamond full Eternity Ring. This elegant ring design is channel set with a total of 0.62 carats of delicate Princess cut Diamonds, which have been graded F Colour and VS1 Clarity prior to setting. This slender ring design is 2.25mm in width and is available in 18ct Yellow, White or Rose Gold and 950 Platinum or 950 Palladium finishes. 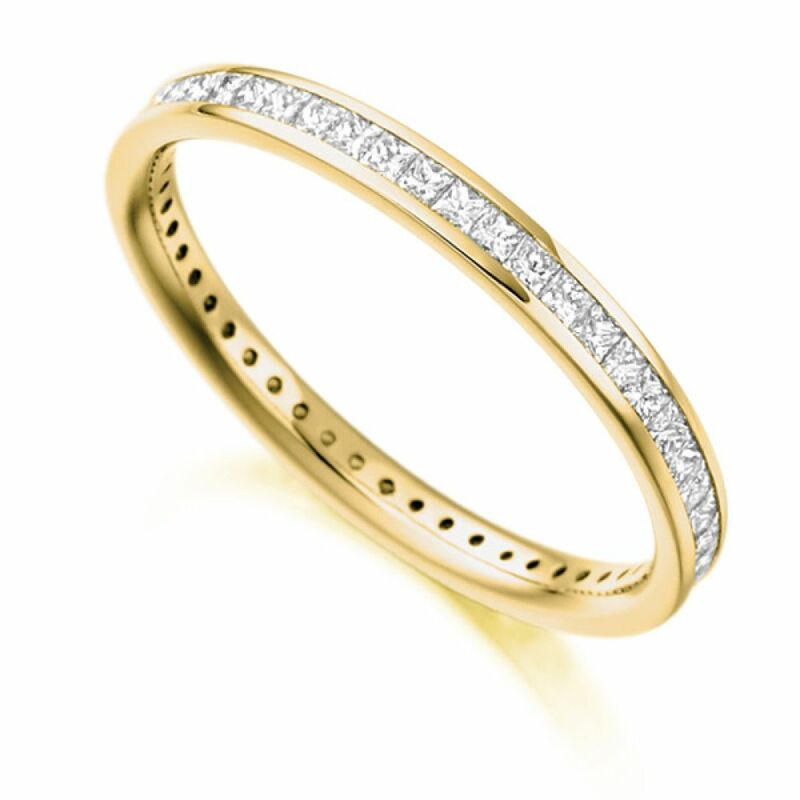 The ring will arrive to you meticulously packaged ready for you to enjoy the beauty of this ring every day. Please allow 4 weeks for delivery as this design is expertly crafted to order. Service rating : Third ring I have purchased (engagement, wedding and now eternity). Fantastic service and lovely rings. Product : Fantastic ring. Wife loved it!